"Eventually, All Humans Will Be Palestine Refugees"
Of all the issues that drive the Arab-Israeli conflict, none is more central, malign, primal, enduring, emotional, and complex than the status of those persons known as Palestine refugees. The origins of this unique case, notes Nitza Nachmias of Tel Aviv University, goes back to Count Folke Bernadotte, the United Nations Security Council's mediator. Referring to those Arabs who fled the British mandate of Palestine, he argued in 1948 that the UN had a "responsibility for their relief" because it was a UN decision, the establishment of Israel, that had made them refugees. However inaccurate his view, it still remains alive and potent and helps explain why the UN devotes unique attention to Palestine refugees pending their own state. 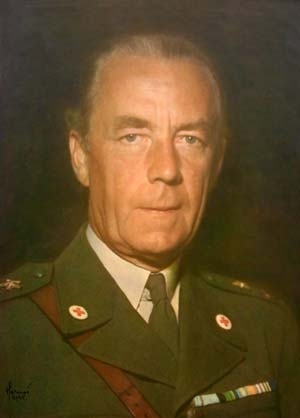 Folke Bernadotte, Count of Wisborg (1895-1948), whose legacy still guides United Nations policy vis-à-vis Palestinians. True to Bernadotte's legacy, the UN set up a range of special institutions exclusively for Palestine refugees. Of these, the United Nations Relief and Works Agency for Palestine Refugees, founded in 1949, stands out as the most important. It is both the only refugee organization to deal with a specific people (the United Nations High Commission for Refugees takes care of all non-Palestinian refugees) and the largest UN organization (in terms of staff). UNRWA seemingly defines its wards with great specificity: "Palestine refugees are people whose normal place of residence was Palestine between June 1946 and May 1948, who lost both their homes and means of livelihood as a result of the 1948 Arab-Israeli conflict." The ranks of these refugees (who initially included some Jews) have, of course, much diminished over the past 64 years. Accepting UNRWA's (exaggerated) number of 750,000 original Palestine refugees, only a fraction of that number, about 150,000 persons, remain alive. UNRWA's staff has taken three major steps over the years to expand the definition of Palestine refugees. First, and contrary to universal practice, it continued the refugee status of those who became citizens of an Arab state (Jordan in particular). Second, it made a little-noticed decision in 1965 that extended the definition of "Palestine refugee" to the descendants of those refugees who are male, a shift that permits Palestine refugees uniquely to pass their refugee status on to subsequent generations. The U.S. government, the agency's largest donor, only mildly protested this momentous change. The UN General Assembly endorsed it in 1982, so that now the definition of a Palestine refugee officially includes "descendants of Palestine refugee males, including legally adopted children." 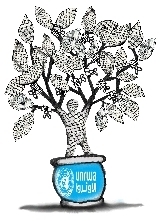 Third, UNRWA in 1967 added refugees from the Six-Day War to its rolls; today they constitute about a fifth of the Palestine refugee total. These changes had dramatic results. In contrast to all other refugee populations, which diminish in number as people settle down or die, the Palestine refugee population has grown over time. UNRWA acknowledges this bizarre phenomenon: "When the Agency started working in 1950, it was responding to the needs of about 750,000 Palestine refugees. Today, 5 million Palestine refugees are eligible for UNRWA services." Further, according to James G. Lindsay, a former UNRWA general counsel, under UNRWA's definition, that 5 million figure represents only half of those potentially eligible for Palestine refugee status. In other words, rather than diminish 5-fold over six decades, UNRWA has the population of refugees increase almost 7-fold. That number could grow faster yet due to the growing sentiment that female refugees should also pass on their refugee status. Even when, in about 40 years, the last actual refugee from mandatory Palestine dies, pseudo-refugees will continue to proliferate. Thus is the "Palestine refugee" status set to swell indefinitely. Put differently, as Steven J. Rosen of the Middle East Forum notes, "given UNRWA's standards, eventually all humans will be Palestine refugees." Were the Palestine refugee status a healthy one, this infinite expansion would hardly matter. But the status has destructive implications for two parties: Israel, which suffers from the depredations of a category of persons whose lives are truncated and distorted by an impossible dream of return to their great-grandparents' houses; and the "refugees" themselves, whose status implies a culture of dependency, grievance, rage, and futility. 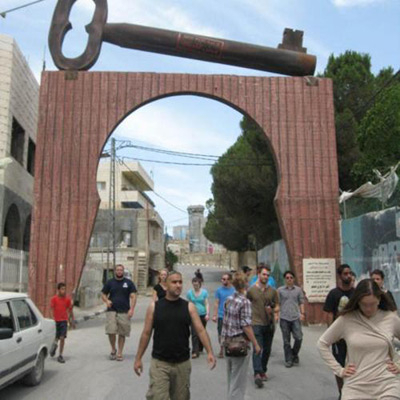 A giant key (said to be the world's largest) sits atop the entrance to the Aida Refugee Camp in Bethlehem, reminding residents to insist on their "right of return." All other refugees from the World War II era (including my own parents) have been long settled; the Palestine refugee status has already endured too long and needs to be narrowed down to actual refugees before it does further damage. Mr. Pipes (DanielPipes.org) is president of the Middle East Forum and Taube distinguished visiting fellow at the Hoover Institution of Stanford University. This article is based on a recent MEF seminar in Jerusalem on UNRWA.© 2012 by Daniel Pipes. All rights reserved.